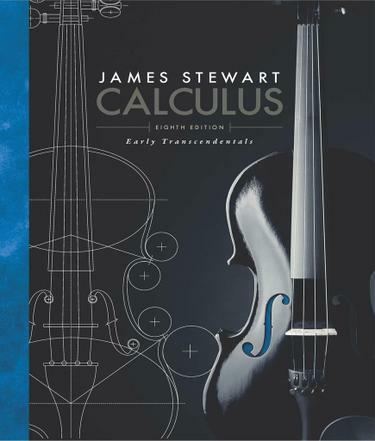 James Stewart's CALCULUS: EARLY TRANSCENDENTALS texts are widely renowned for their mathematical precision and accuracy, clarity of exposition, and outstanding examples and problem sets. Millions of students worldwide have explored calculus through Stewart's trademark style, while instructors have turned to his approach time and time again. In the Eighth Edition of CALCULUS: EARLY TRANSCENDENTALS, Stewart continues to set the standard for the course while adding carefully revised content. The patient explanations, superb exercises, focus on problem solving, and carefully graded problem sets that have made Stewart's texts best-sellers continue to provide a strong foundation for the Eighth Edition. From the most unprepared student to the most mathematically gifted, Stewart's writing and presentation serve to enhance understanding and build confidence.